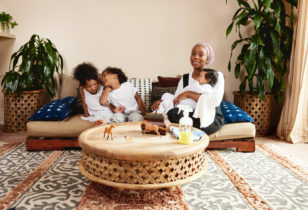 Really good news alert, mamas… Just in time for Mother’s Day weekend, West Elm has delivered a major present in the form of its brand-spanking-new West Elm Baby and Kids collection! 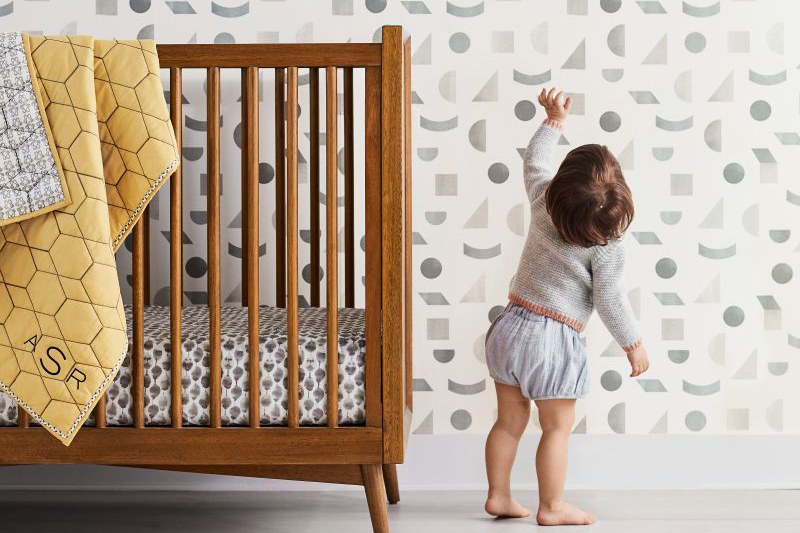 Yep, that’s right, the favorite maker of mid-century modern-inspired goods has teamed up with its sister company Pottery Barn Kids (both are within the Williams-Sonoma brand family) to launch its very first array of offerings for littles. 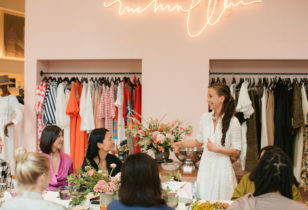 Starting right now, shoppers can click on the Baby + Kids tab while online shopping and scroll through a covetable array of nursery furniture—cribs, mini-cribs, and mattresses, matching changing tables/dressers (that’ll totally work in your home after the diaper days), gliders, and ottomans. 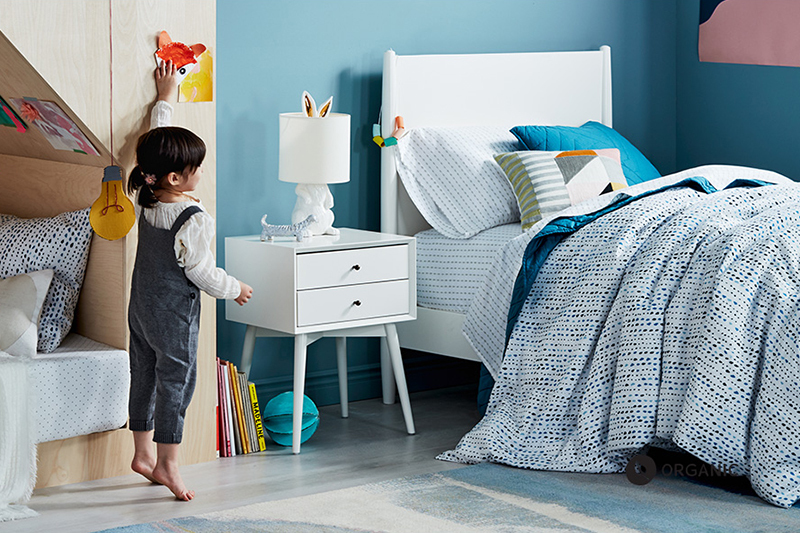 Meanwhile the kids’ furniture includes bed and daybed options, bookshelves, nightstands, dressers, and end tables. And the fun doesn’t stop there. 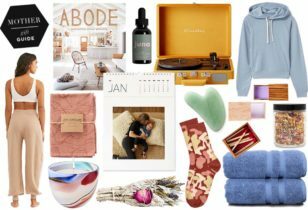 Keep scrolling for all-natural baby and kids’ bedding in a variety of textures, hues, and patterns; good-looking toy storage solutions and baskets, and plenty of extras that have us head over heels. Think: peace sign-shaped wall hooks, playful wallpaper, fun lighting, mirrors, kid-centric art, and frames, graphic throw pillows, cloud-shaped bookends, and event felted sheep and pom-pom mobiles! 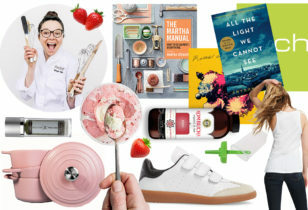 Click here to take in all of the goodness (if you can’t tell, there is a lot of it! ).